This was definitely my favorite in the Wallflower. Lilian and Marcus are great match and it was hilarious watching headstrong Lilian bring uptight Marcus to his knees. 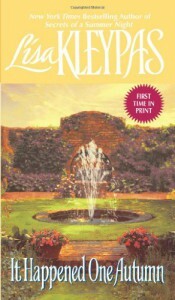 As usual Lisa Kleypas writes extraordinary with great characterization and vivid storytelling.